Woot has signed an agreement with Amazon – yes, the Amazon – to become an independent subsidiary of the ecommerce colossus. Woot HQ will remain in Carrollton, Texas, and will operate as autonomously as other Amazon companies like Zappos and Audible. True to form… you have to check out w00t’s blog post about the whole ordeal because it’s HILARIOUS! The Upgrade for WIndows 7 is available on Amazon.com as well as the Microsoft Store for Pre-Order. Windows 7 Home Premium Upgrade will only cost you $49.99, a savings of $70 from the suggested $120. Windows 7 Professional Upgrade will set you back $99.99 for a savings of $100. All versions of Windows 7 will be available starting on Oct. 22, 2009. While initial reports say that Win7 is extremely stable and should run on a wide variety of hardware you can ensure sure your PC is compatible with Windows 7 by grabbing Microsoft’s Windows 7 Upgrade Advisor. Windows 7 installation disks will contain both 32 bit and 64 bit versions of Windows… so no matter which you version purchase it will install on your PC. 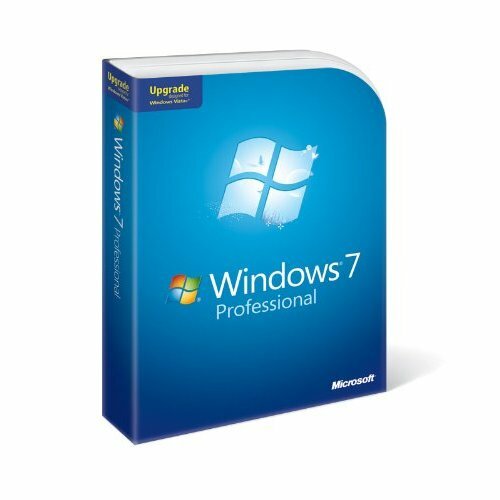 for $49.99 or Microsoft Windows 7 Professional Upgrade for $99.99 from Amazon or through the Microsoft Store.
. It runs $199.99 with free shipping (normally $299) but might be worth it if you gaming system has it’s home in the living room. 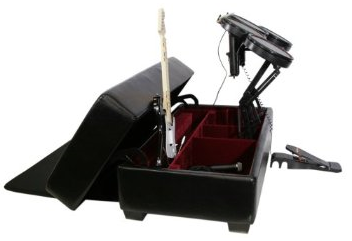 Instead of stashing controllers behind the couch, or just leaving them sitting all over the place you can neatly stash them inside the storage ottoman.